These are the web pages of Xelie, (pronounced Zelly), a rare-breed Picardy Shepherd / Berger Picard who lived and herded sheep in Los Angeles, California and Austin Texas, USA. 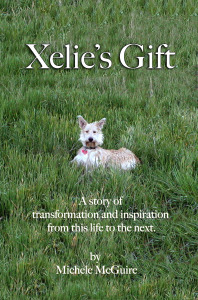 Xelie was born in April 2001 at the Vallée du Mouton Kennel in Austria and died in 2014 in Texas. 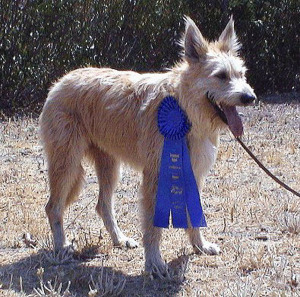 The Picardy Shepherds (Berger de Picard) are thought to be the oldest of the French herding dogs, dating back to 800 AD. They are originally from the Picardie region of northeastern France. Intense fighting in the area during both the First and Second World Wars nearly caused the extinction of the breed, by killing so many reproductive problems, further complicated the problem. Currently, there are thought to be around 3500 world wide, with 20 of those living in North America. They have a strong roguish appearance, that is also elegant and refined. They have distinctive naturally upright ears and a curving “J-hook” Tail. To watch one run is a sight of beauty and grace. Click here for the UKC Picardy Shepherd Breed Standard. Their whimsical look matches their personality. In temperament, the dogs have a spontaneity and joy for life that is unrivaled in dogs or humans. Mercurial in nature, they embrace life with a fearless enthusiasm for all it offers. The world is theirs for the taking and they know it. They have a wonderful mix of gentleness, kindness combined with wild enthusiasm, curiosity, and at times great intensity. 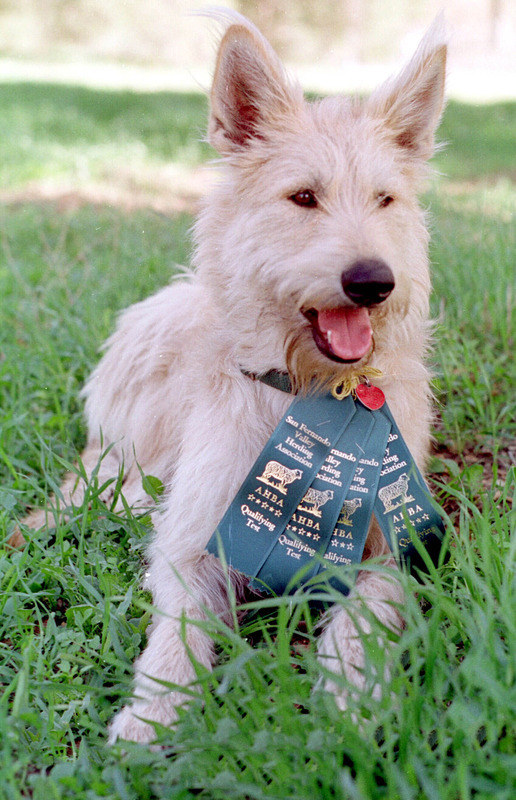 It is important during any training to keep this wonderful spirit of the dog’s personality alive and intact, and not to defeat it for the sake of making the dog do what you want ~ for this boundless enthusiasm is at the very heart of what it means to be a Picard ~ yet at the same time maintain discipline and control. The dogs do not learn well by being taught mechanically or by repetition and they will quickly get bored, and become very recalcitrant if taught anything in this manner. The owner must find a balance between being loving, affectionate and kind ~ but at the same time being firm, fair and above all patient, but never brutal. There is a saying in France, Picards need “an iron fist in a velvet glove”. Find this balance and the Picard will be yours forever and you will be his. Training goes the fastest if the dogs are taught the “why” or “reason” behind the request first. They are never ones to do something “just because” they are asked. Some people confuse this trait as pigheadedness or stubbornness, but it is not. They are intelligent, thinking, spontaneous creatures, once they understand the “reason” behind what you are asking, and “what” it is you are trying to accomplish, they’ll happily oblige ~ every time. Understand that this trait probably comes from centuries of working as a herding dog, where they were required to think independently on their feet, while at the same time being able to fulfill the larger needs of the Shepherd. Thus, if the shepherd needed to move his flock across the stream, and over the hill and around the bend, the dog would execute this, but all the while, making it’s own subtle independent movements in it’s position in relation to the herd to accomplish the overall job the shepherd has asked. Xelie wins first prize at a sanctioned USBCHA Border Collie herding trial!